Manchester City’s playmaker Bernardo Silva told Fabinho how fantastic Liverpool is as a club before the Brazilian’s summer move to Anfield. Jurgen Klopp managed to secure the holding midfielder a few months back from AS Monaco, much to the surprise of everybody as he hadn’t even been heavily linked beforehand. We’d hoped Fabinho would make his debut today against West Ham, but he missed training towards the end of last week and as a result, we’re not sure he’ll play from the outset. 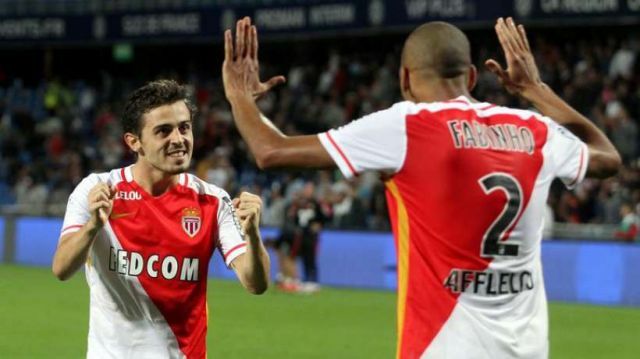 “He told me how much I would like Liverpool and how impressed he was by the way people here live, and breathe football,” Fabinho told Sky Sports. Fabinho is in our opinion an upgrade on Emre Can and we’re convinced he’ll have a brilliant season. He’s technically able, physically strong and tactically smart. His role will be a defensive one initially, but he has the ability to drive through midfield thanks to his dribbling skills, as well. We have a feeling our strongest midfield trio this term will be Fabinho, Jordan Henderson and Naby Keita, although Gini Wijnaldum and James Milner will both play plenty of matches.